Lamb is really nice to slow roast on the barbecue. I pre-cooked the marinated lamb briefly in the oven to give it a head start and also make it absorb the marinade as the meat seals. I then had time to prepare the rest of the dishes as the lamb sits in the barbecue. Although it isn't exactly summery and hot on the day we had this, the weather was not too bad. I was even able to shoot my photos outside. It has been rather stressful taking photos the past few days because the sun always disappears when the food is ready. Sometimes it even starts raining while I'm taking photos in the garden. Today, I was able to take the photos quickly and then hurriedly whisk the lamb to the hungry crowd. This is a very good dish for entertaining. I served it with minestrone soup, couscous with apricots, sultanas and toasted pine nuts and a simple green salad. Mix all of the marinade ingredients together in a food processor and puree. Cut deep gashes into the lamb meat on both sides. Season with the pureed ingredients, pushing well into the cuts. Marinate for at least an hour. Transfer the lamb and the marinade to a roasting tin and cover tightly with foil. Roast for 30 minutes in a pre-heated oven, 350° F/180° C.
Prepare and pre-heat the barbecue. Put a grilling/roasting rack on the barbecue so that the meat does't sit directly on the barbecue grill. 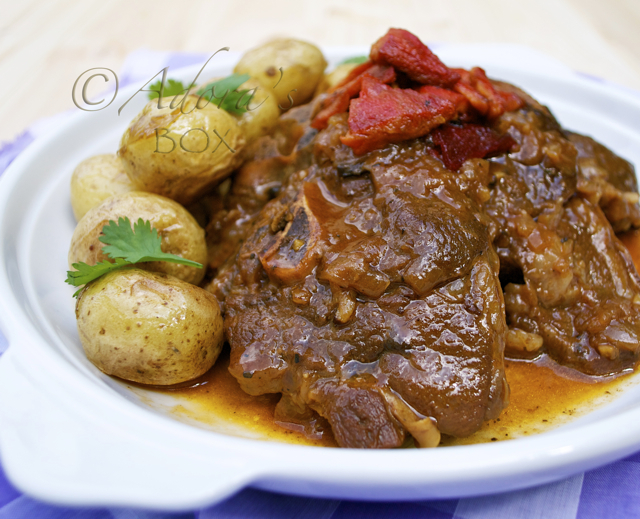 Transfer the lamb to the barbecue and continue cooking, with the barbecue lid on, on low heat until done. This 2 kg. leg was done in an hour and 20 minutes. This would vary depending on the heat and the size of the meat. Check doneness with a meat thermometer or by pinching the meat. The firmer the meat, the more done it is. Lamb is best cooked medium well. Overcooking makes the meat dry. Oh, your lamb is cooked absolutely perfectly. It looks fantastic. I usually wait and buy a bunch of it when it goes on sale after Easter. Then I store it in the freezer until I want it. Otherwise, yes, it is very expensive. I love lamb, too, but hardly make it as well. Your recipe looks scrumptious, the lamb is perfectly cooked! (Thanks for linking my pork belly recipe btw). This looks incredibly tasty! 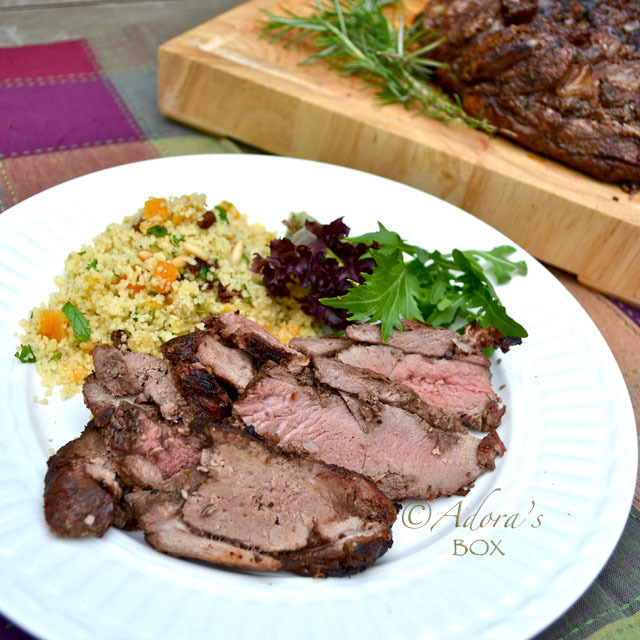 I can imagine that the BBQ lamb goes very well together with the couscous salad! Adora, your lamb is beautifully roasted! I am not a big fan of lamb (I just didn't eat enough and I guess I'm not used to it), but by looking at your picture, I am so hungry and would love to eat! Roasting is something I need to learn as I use a frying pan for almost all cooking. What a gorgeous meal! I used to eat lamb a lot when I was still in the Philippines. My brother used to buy frozen ones at Rustan's and I just love having them grilled. Ryan doesn't like it though...so I haven't had lamb since we got here in the US. 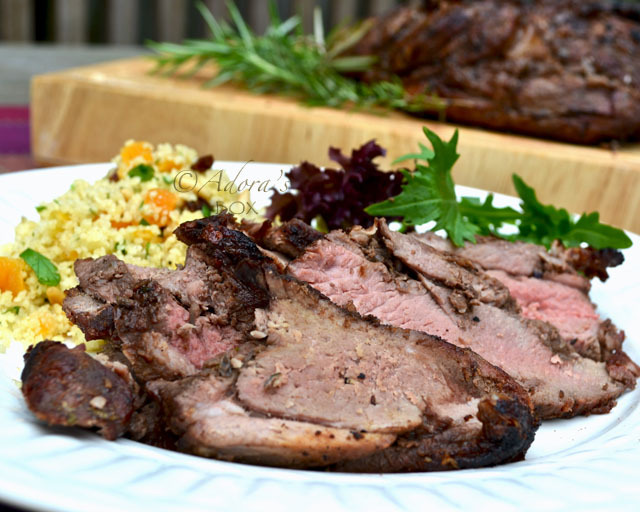 Your perfectly barbecued lamb makes me want to eat some now! Very nice pictures as always! 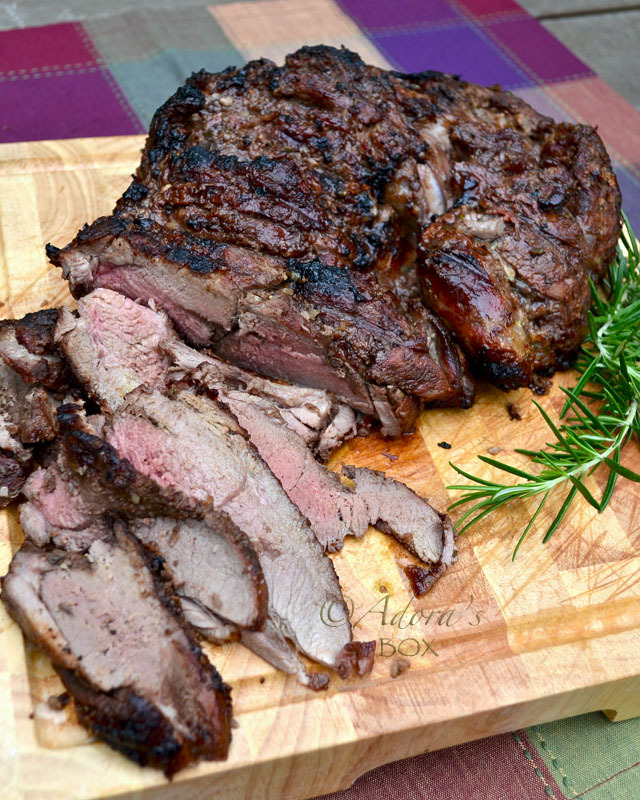 This leg of lamb is cooked to perfection! I love to eat this too, but have never tried to cook it at home so I'm in awe of your dish. 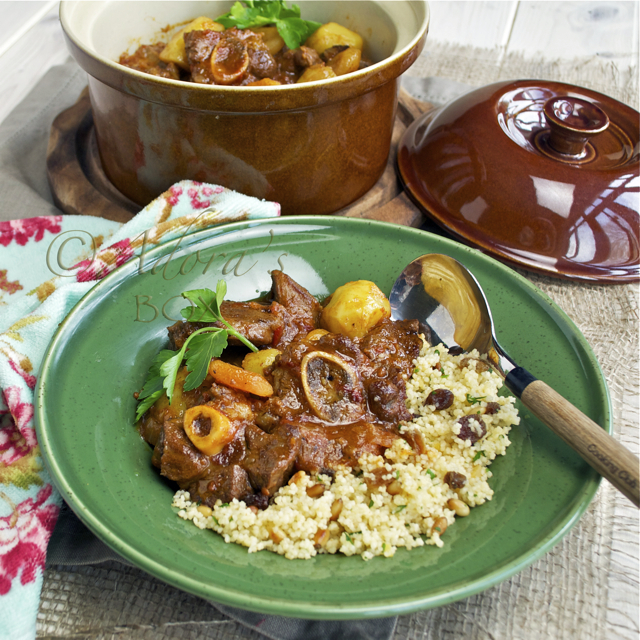 Pairing it with your flavorful couscous and salad is a wonderful idea!